The Deluxe Mobile Overbed Table features a manual adjustment that enables the user to easily set the height and angle of the table. The high quality beech polished top is hard wearing and easy to clean. 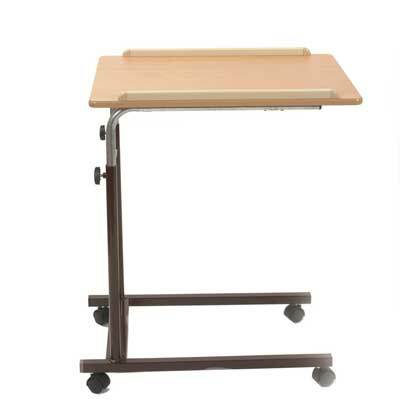 There are retaining table edges that prevent items from slipping off and the table has four castors for easy movement. Can be used over a bed or a chair.